The Castaño family owns over 410 hectares of vineyards in the Yecla DO in south-eastern Spain. 80% of these vineyards are planted with the native Monastrell variety. For several generations, Bodegas Castaño has been a pioneer in this region and has come to symbolise the best of what southern Spain has to offer: rich, warm climate wines made from grapes grown at altitude, resulting in wines of great character and finesse. 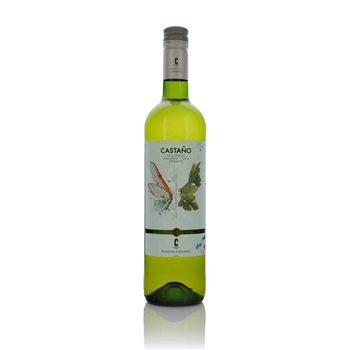 The Macabeo grows on 15-year-old, organically farmed vines, which grow at 500 metres above sea level on north-facing slopes. The soil is sandy-limestone and the vines grow at a density of 2777 vines per hectare. 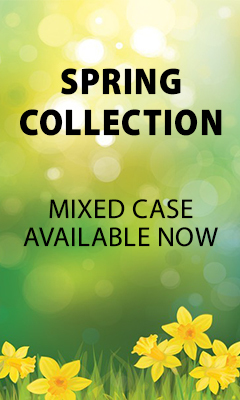 2018 was a complex year with a generally cold, wet spring delaying budbreak and the damp weather during flowering leading to higher than usual incidences of mildew in the vineyard. Early summer was initially rainy, but a hot August allowed the vines to catch up and ripening occurred gradually through the cooler than usual September which helped the grapes achieve great balance and flavour. Generally, the 2018 vintage was a generous harvest producing fresh wines with lower alcohols than recent years. Fermentation took place at 15ºC in stainless steel tanks over a period of 14-15 days, in order to preserve the bright fresh fruit character of the wine. After cool stabilisation, the wine was ready for bottling. This is a bright, fresh and fruity wine made for drinking young. It is fragrant on the nose with notes of white fruits, apple and citrus. On the palate, it is soft and fruity with a lifted finish.